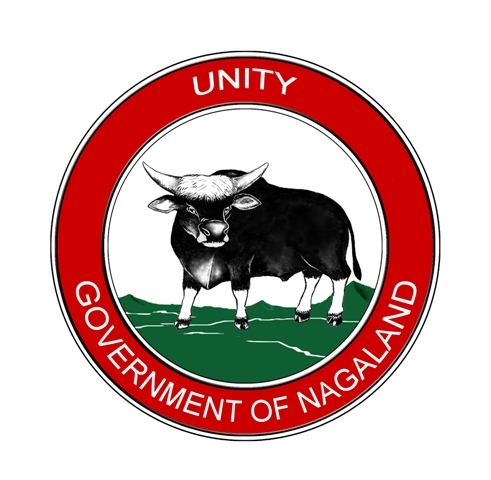 The Naga Society is basically an agrarian society and agriculture is one of the major contributors to the net state domestic product (NSDP) of the state. In Kiphire district more than 90% of the population is engaged in agriculture. It is the largest user of land resources. The health of the farmlands and the net agricultural produce are therefore detrimental for securing the livelihood and development for a larger section of the people in the district. This chapter on Agriculture looks at the performance, constraints and potentials of the agriculture sector in Kiphire district. Kiphire district has been blessed with various agro-climatic conditions suited for production of variety of crops. Kiphire enjoys south-east monsoon with average rainfall between 1500 mm to 1800 mm occurring over about 6 months from May to October and the potential evapo-transpiration at 1219 mm. This clearly indicates that there is a shortage of water for a considerable period from November to April. The soils of the district are derived from tertiary rocks belonging to Bareli and Disang series. Though the district is small, due to large variation in topography and climate, there is a wide variety of soil types prevailing in the district. Both Alluvial and Residual soils are found in the district. Under the alluvial soil type, Recent alluvium (Entisol); Old alluvium (Oxizols and Ultisol) and Mountain valley soil (Entisol) is found. Under the Residual soils also three different types – Laterite soils (Oxizols and Ultisol); Brown forest soils (Mollisols and Inceptisols) and Podzolic soils (Spodesols) are found in the district. The main agricultural system practiced in the district is the traditional jhum also known as swidden method of cultivation. Mixed cropping pattern is followed during the khariff seasons. Maize, Rice, a local variety of kidney beans Rajma called Kholar(PhaseolusSp) and Soya beans constitutes the major crops in the jhum fields. Since the terrain is mostly steep and hilly, cultivation is done by dipping in the seeds and deep cuts on the soil are rarely made to avoid soil and nutrient loses. However, maize which is primarily cultivated as fodder for the domestic animals is being increasingly cultivated on a larger scale for market purposes. The variations of jhum cycle are influenced by a variety of factors such as population, farming households, soil types and area under the control of the village. Therefore, there is no uniformity among the different villages. The other system of farming is T.R.C (Terrace Rice Cultivation). It is practiced on the gentler hill slopes and also in the low lying areas where terrace benches are made using irrigated water from the streams. Only paddy of various varieties is cultivated during Kharif season. During the Rabi season paddy cultivation becomes problematic due to non availability of sufficient water. Out of the total geographic area of the district, only 57080 ha are available for cultivation. It includes fallow land (current fallow plus other fallows) and total cropped area (Net area sown + area under double and mixed cropping). At present 16036 ha area is under agricultural use. During the Rabi season, there is very limited usage of the land as cropping activities ends by early November after harvest, and remains un-productive till March. The district has very limited lowland area suitable for cultivation except on the periphery of the Zungki and Tsungaki rivers which are also not extensive enough for large scale commercial production. The district is favourably endowed climatically as well as in terms of soil types for producing a variety of crops. All together about 32 crops are widely grown in the district. Out of these, Cereals such as Paddy, Maize, millets, jobs tear are the most widely cultivated crops in terms of production and area coverage. Other crops grown are varieties of pulses and cash crops such as potatoes. The district has the potential to produce on a larger commercial scale but due to the non availability of oil extracting facility, farmers hesitate to go for large scale production. Agriculture and allied sectors such as horticultural activities and livestock production are one of the significant contributors to the Net District Domestic Product and is one of the largest employment generating sectors in the district. However, it is also seen that the farm activities are limited mostly for subsistence. Although there is ample scope to go for commercial production, due to inadequate marketing facilities and problems of transportation, farmers are slow to take up commercial production.